SEO optimizing your site for the search engines can require some tedious work to make good results. Many SEO optimization tools have been arisen on the web to make the process easier. Those tools will have some jobs such as checking content keywords, analyzing backlinks, getting site rank for some keywords, and giving SEO suggestions. The trick will be to find the right SEO optimization tool. The following describes some best SEO optimization tools available. They are absolutely free. Some of them need however Firefox to work. Many people use Firefox for its ease of use. Those not using it must have it installed. Of course Firsfox have many Plugins that can be installed to make it more powerful by adding more features. Actually Firefox is not an SEO optimization tool. It is just a web browser. The reason why Firefox is related to many SEO tools is that many search engine optimization tools are implemented as Plugins for Firefox. You must therefore have Firefox installed to use those tools. Many website designs are more compatible with Firefox than Internet Explorer. This is because it is easier to design with it. You will have a benefit therefore if you make browse with it because the rendering will be more precise with Firefox. If you have some experience in SEO, you will of course hear about Nofollow and Dofollow tags for backlinks. it is very important aspect for SEO which must be well understood. Essentially, building backlinks to your site is very basic for SEO. You must have too much high quality links back to your site. If the link has nofollow option, it will be useless. If you find your link on other top ranked site, you can be deceived if you found it nofollow link. Firefox make it easy to know whether it is Dofollow or no follow link by the NoDoFollow Firefox Plug-in. this is an SEO optimization tool that enable you to optimize your link for Off-page SEO. When you browse a page, the link is assumed to appear in blue. If you installed that Plugin and enabled it, all links will appear in blue only if they are dofollow link. Links that are nofollow are displayed in red. If you’ve heard of a do follow link or a no follow link, you’ll understand the importance of the NoDoFollow Firefox plug-in. This tool is very important as it’s a very quick and easy way to tell whether or not a particular link is no-follow or do-follow. if you haven’t installed that SEO tool, you will have to check the code to find whether it has or not a dofollow attribute. This will be tedious and require more time. To enable or disable the tool, right click and go through the menu options. You don’t have to restart Firefox! By having the proper tools, you can save a lot of time and money in your SEO efforts. If you are SEO optimizing your site for some few keywords or phrases, SEO for Firefox will save you more work. One of the best features for this Plugin is that it modifies the SERP to show information on the competitor sites. You can know the pagerank, last modified date, backlink number, and more by this great SEO optimization tool. This tool is one the the best SEO tools available for Firefox. The information you get by that tool can be found by other tools but one for each tool. Yu can use the ranking tool for example to get the Pagerank of a page but that tool get many information at once. This SEO optimization tool is helpful to do keyword research and to know your competitors easily for those keywords. The key is to type some keywords in the search engines you want to check and then see the results including the information from the Firefox for SEO tool. 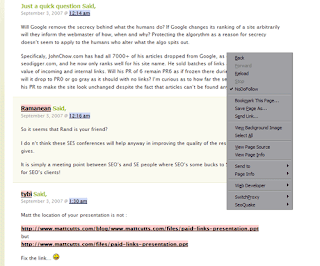 Rank Checker is a free FireFox Plugin developed by SEOBook. This is a good SEO optimization tool that enables you to check your rank for some given keywords. If you have only one site and want to check for some keywords, you can simply enter those keywords in Google and see the ranking for those keywords manually. If you want to check for multiple keywords, it will be easier to use that SEO tool. A second case in which you may use that tool is if you have multiple sites each with several keywords you targeted. It will be tedious to check manually. You can also save the results manually since they are not saved automatically. The Website SEO Tool is an online based SEO tools that enable you to find many things about your site SEO. If you missed some things concerning the SEO optimization process, you will be notified by this tool. Even if you are an expert, you can use it to get suggestions you may miss it. This tool is one the best SEO tools available online. All in One SEO Pack is an Plugin dedicated to be used with WordPress. 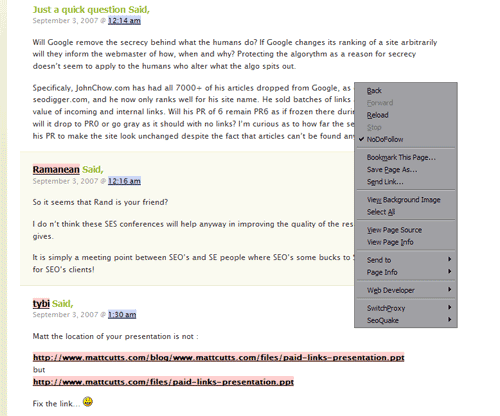 This plugin allows to receive some notifications about your blog. All you have to do is to install it and provide some data such as the title and the keywords of your site. Google AdWords Keyword Tool a great SEO optimization tool that enable you to make keyword research. This is the most important to use since writing content requires knowing what attracts the people prior to writing. You must select some keywords from the results page of this tool and SEO optimize your page for them. The Google AdWords Keyword Tool allows you to find out how many people search for potential keywords, the cost per click for each keyword, and also suggests other keywords.